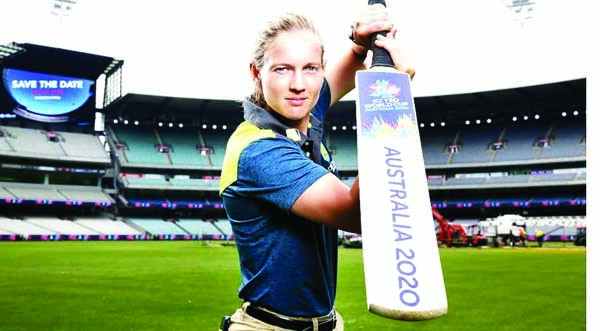 Australia captain Meg Lanning has called for more women's Test cricket to build on the game's growing momentum, and said India was key to boosting the number of red-ball matches. There has only been one women's Test in the last three years, with the international calendar revolving around the more popular, and lucrative, shorter format of the game. India (two matches) and South Africa (one) are the only nations outside of Australia and England to have played women's Tests in the last decade. "We'd love to play more Test matches," Lanning told Australia's SEN sports radio. "Unfortunately it's only Australia and England that are interested at the moment, and we only play each other every couple of years. "Hopefully down the track more countries are interested." Lanning's career illustrates the dearth of the longer form of the women's game - since making her debut for Australia in 2010 she has played 72 one-day internationals and 85 Twenty20s, but only three Tests. "I think India would be great at playing Test matches - I think they'd be the big fish to get involved because they've got such a big influence in cricket," she said. "If that was the case, I think that would definitely help that side of the game grow, but unfortunately one game every two years is difficult to prepare for and play well. "But we enjoy playing them so hopefully there's a few more (Tests) down the track." The next assignment for the world's top-ranked women's team Australia is the Ashes tour of England this year, but it only includes a solitary Test. In its biggest-ever survey last year, the International Cricket Council said that two in three of the world's one billion cricket fans were interested in the women's game and 70 percent wanted to see more live coverage.